MINNEAPOLIS--(BUSINESS WIRE)--Jul. 13, 2015-- Piper Jaffray Companies (NYSE: PJC), a leading investment bank and asset management firm, today announced that it has entered a definitive agreement to acquire River Branch Holdings, LLC, an investment banking boutique focused on the financial institutions sector. The acquisition will further strengthen Piper Jaffray’s M&A leadership and add significant investment banking resources dedicated to banks, thrifts and depository institutions. This announcement follows the hiring of five managing directors in FIG investment banking last month, along with Piper Jaffray’s recent expansion of its FIG-focused equity research and institutional sales and trading groups. “We are pleased to welcome this industry veteran team to our firm. River Branch Holdings, with its partnership-centric culture, middle-market advisory capabilities and senior talent, will be an instrumental component of our plan to compete aggressively in the financial services sector,” said Andrew Duff, chairman and CEO of Piper Jaffray. River Branch Holdings is led by David Olson and Steven Kent. Olson will serve as co-head of Piper Jaffray financial institutions investment banking, alongside Bob Hutchinson. Kent will serve as a vice chairman of investment banking. David Olson is the chairman and CEO of River Branch Holdings. He was the chair of the Credit Suisse Asia-Pacific investment banking division and Chairman and CEO of DLJ Asia-Pacific. While at DLJ, he was a group head of global FIG and the Midwest investment banking region. Steven Kent is the president of River Branch Holdings and a member of its board of directors and investment committee. He joined River Branch Holdings from Keefe, Bruyette & Woods, Inc. where he was a managing director and head of the Chicago office. 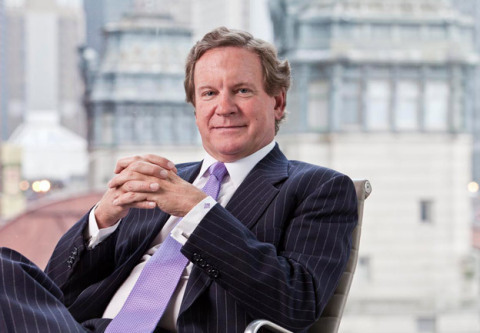 Prior to KBW, he was a managing director and head of the financial institutions group at Robert W. Baird & Co. The transaction is subject to regulatory approval and customary closing conditions and expected to close in the third quarter of 2015. Terms of the transaction are undisclosed. Based in Chicago, River Branch Holdings, LLC is an international investment banking boutique focused on a range of financial services clients including commercial banks and thrifts, financial technology, specialty finance and broker/dealers. The firm provides merger and acquisition advisory, corporate finance advisory, recapitalization, restructuring and private placement services to middle-market clients and private equity firms.